We struggle with a problem until we find something that works. Then we quit doing it. Or we screw it up. I got off structure on vacation. 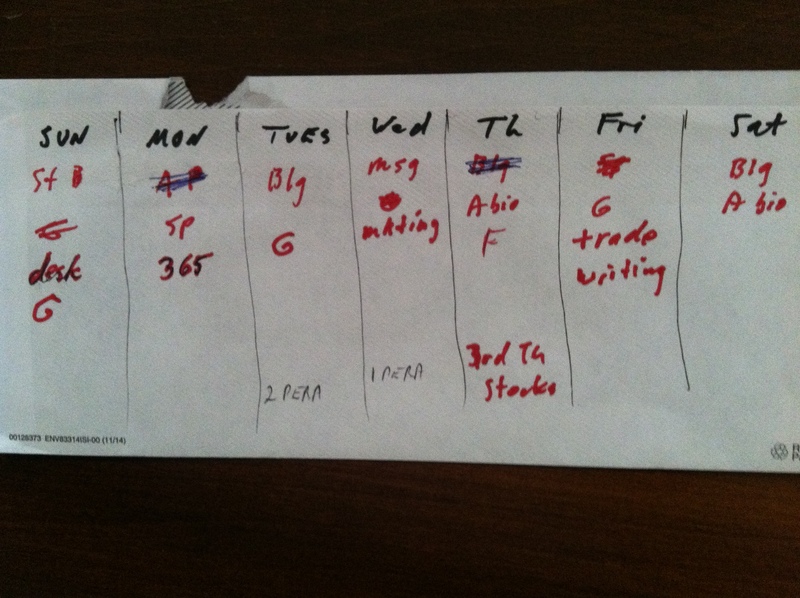 When I got back, I tried to put my Daily Priority Strategy back into effect but I’ve been having trouble doing it. It was working before vacation. 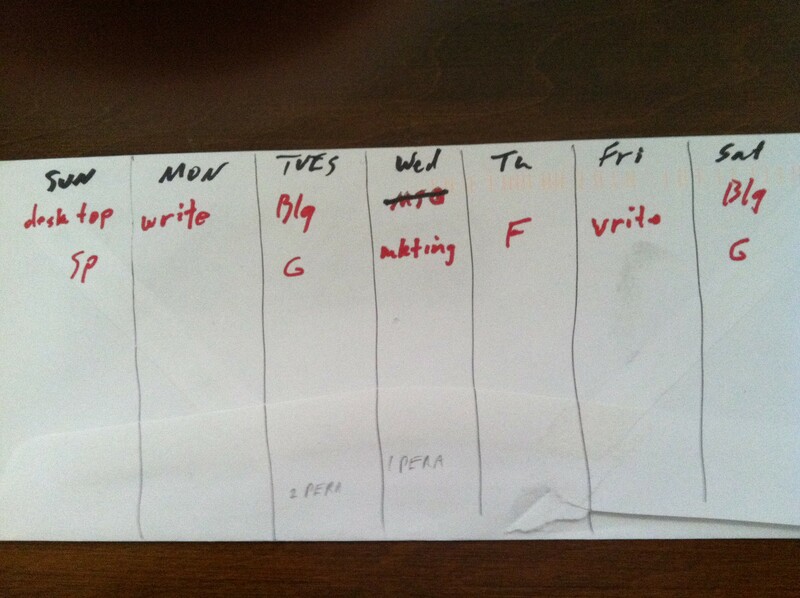 I’ve just realized I screwed it up by putting too many things in each day. The strategy is to have ONE priority each day and get that done before anything else. Then if I do nothing else, at least I’ll have that done, and by the end of the week I will have done something in each major categories. But, if I choose too many “priorities”, then they aren’t priorities at all. There’s too many things I want to do. I have trouble setting priorities. When a strategy is working, I often quit using it or screw it up. I’m trying to learn about hashtags, but I don’t understand them. Do I just put #ADD # ADHD #adultADD anywhere, like this? And that does something???? Advice is welcomed. This entry was posted in add, ADD problems or symptoms, ADD strategies, adhd, ADHD problems, ADHD strategies, attitudes, dysfunctions, organize, strategies and tagged ADD, ADHD, adult add, adult adhd, attention deficit, human behavior, human nature, Problems, schedule, strategies, strategy, structure, symptoms. Bookmark the permalink. This is very relevant to my most recent post. For many years, I struggled with to do lists. I used to write them in the morning…and sometimes in the day, I remembered about them, feel upset and embarassed to look at them: they remind me of my burdens. I’m reading now your book: Your Life Could Be Better, and I discover this statement repeated many times : There is only one item in your to do list! I didn’t cry but smiled a big smile. I translted in my mind like that: You could write as many items as you like ( and not be afraid of that: just let go of having to execute all of them) but in fact, there is only one item! I even change the name of my list: from “to do” to ” to remember”. I found it hard to change my expectations from “doing all the written items” to “only doing one” , but that’s liberating. So, instead of thinking: I have to do 5 items today (which might be overwhelming), I think I just might execute 1+1+1+…and the final result might be 1 or 3 or 10. For the hashtags, I found this video very useful, explaining many things about twitter in not more than 4mn. Glad you are reading the book in the best way, slowly and try things and digest as you go – no hurry. I never expect to get all of my 5 done, in fact when i do one i have the joy of crossing it off, but then I add another so its always at 5. Where it comes to figuring out a strategy for getting things done, I prioritize things on the basis of urgency and consequence. I deal with the things that are the most urgent first, then the next item in urgency, ad nauseoum. These are not necessarily the things I want to do. They are the things that I need to do or deal with the consequences. Paying late charges or not is how I figured out when I will deal with bills and expenses. I applied that whole system to everything else and it works just fine. The only one who is going to feel the results is me. If I don’t like that, then it is up to me to change things. dianne – sounds like a good system and it works for you. my thoughts are that i have some trouble figuring out which have the most urgency (i could agree that it ought to be simple), have trouble getting myself to do them, and wonder when do i get to do some of the things i just want to? I had trouble figuring it out, too. A friend, also ADHD, suggested color coding things and writing them on Post-it Notes. Bills are red because they have to be paid and there are consequences when not paid or not paid on time. Work-related things were written in green, but highlighting was used to show the urgency. Yellow meant “watch for nearing deadline”. Orange meant “deadline is approaching”. Red meant that the deadline was imminent and I had better get on it immediately. You do have to talk to yourself a bit to get used to doing things that you do not want to do in favor of what you want to do. it is a way to instill a bit of self-discipline, which is much better than the kind of discipline that comes from not doing the necessary things in favor of the fun things… I know, nobody likes to hear (read) that. i try to do the same thing, just have a little different approach (use envelopes mostly, underline and number with a red pen). Hi Doug, I cried when I read this because I have the same problem. I will use a strategy for awhile, then something interrupts it and days or weeks later I will remember, oh, yeah, I had a schedule, or something. Maybe it’s just a part of ADD to accept with loving arms and gently redirect when that happens. I am surprised that one chooses ONE task for the day. Only one??? But I see the value in doing that. I also like Homey’s advice on grabbing 5 minutes here and there throughout the day to clear my desk. I’m going to do that today! Thanks for your post. If you do a search on How Hashtags Work, you will find lots of info to answer your questions! yes, you got it, that’s exactly what happens, and that’s exactly what we need to do – just say “Oh! Yes! strategy.” and just pick it back up. The One means we WILL get that one done today. There is still the short list of five and hopefully we can go further and do more, but at least the One is done.